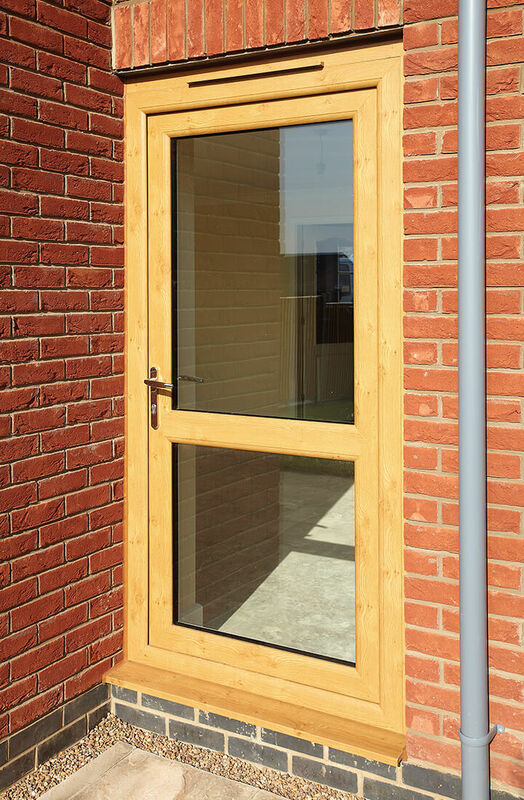 Available in low maintenance uPVC, robust aluminium and long-lasting timber, Budget Windows provides front and back doors that are suitable for any type of home. Each one has been expertly constructed to maximise their visual appeal and practical benefits. 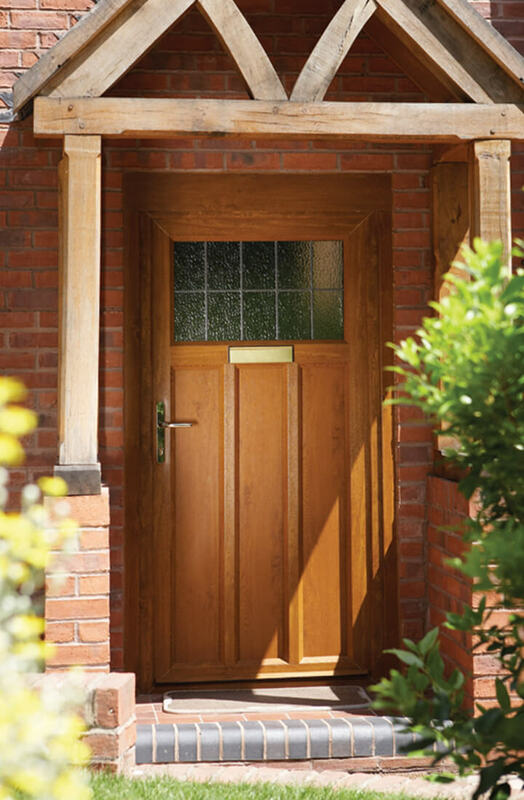 Finely crafted with security and thermal efficiency in mind to suit the demands of modern living for St Albans, Hertfordshire & North London homes. Our entrance doors are all fitted with multi-point locks. These secure them at multiple points in the frame so no areas of weakness are left for potential intruders to target. Ultion locks, which are some of the securest on the market, are also available with any of our front and back doors to bolster security levels even further. Glass panels can be fitted onto the door and a huge number of stylish designs engraved into the glass. But, rest assured that any portions of glazing are constructed from thermally efficient glass. 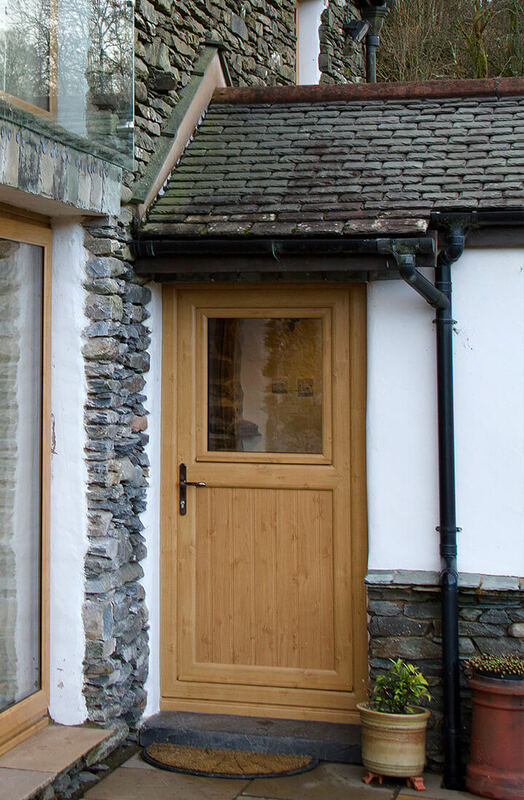 When combined with the multi-chambered uPVC profiles, thermally broken aluminium frames or the natural insulating qualities of high-grade timber, the levels of thermal insulation are nothing short of excellent. This means that each type of door will keep your home at a comfortable temperature throughout the year and is likely to lower your energy costs. Elegantly designed but adaptable so the stylistic requirements of any Hertfordshire home can be fulfilled. No matter what type of home you live in, Budget Windows are confident that we have an entrance door to suit it. This is true even if you’re living in a 200 year old rural cottage or a deluxe, ultra-modern apartment that was only completed this year. 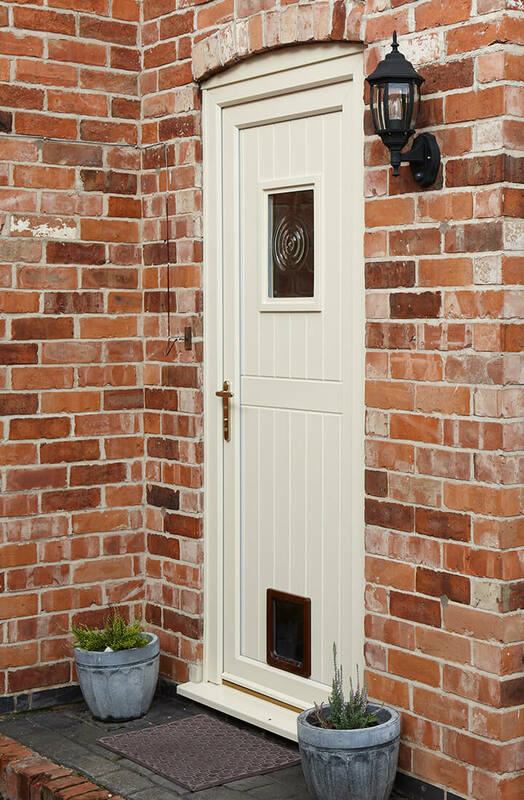 Whatever your home type, our front and back doors have been designed with aesthetics in mind. So if you think either the front or back of your home could do with a facelift then you’ve come to the right place. 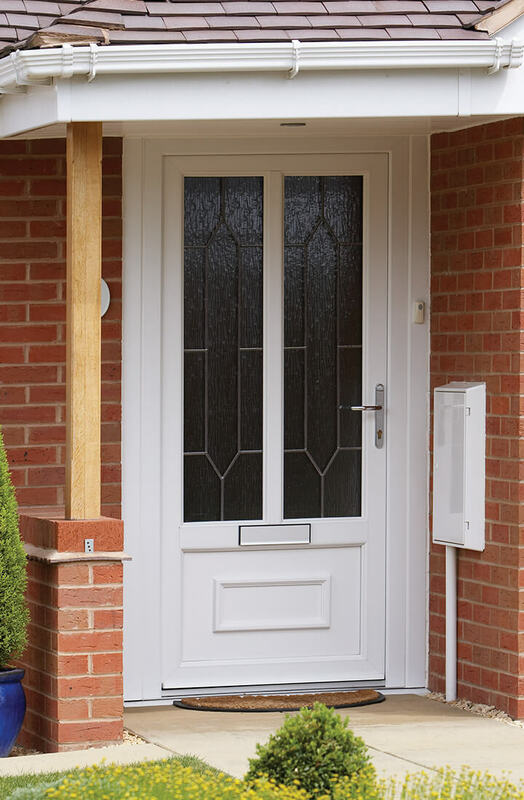 Choose from three different materials for our front and back doors: uPVC, aluminium and timber. As a material uPVC will not discolour over time nor will its finish chip away. Plus, uPVC is incredibly easy to maintain because to keep it clean, it only requires the odd wipe down with a soft cloth. As a material, timber is able to last for over 60 years, even if regularly exposed to severe weather conditions. 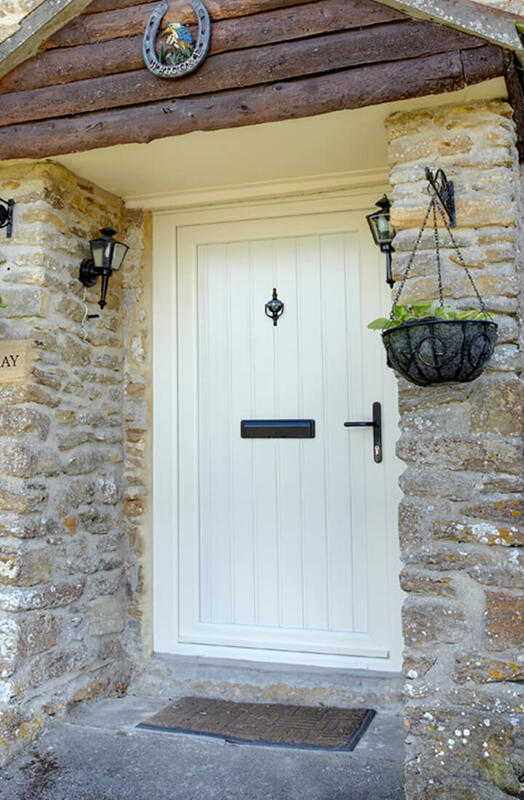 Because of its traditional usage, timber entrance doors are usually styled accordingly, although as we have over 21 timber door styles available, there’s options for modern homes too. Aluminium entrance doors tend to be better suited to homes that are more contemporarily styled. Part of the reason for this is thanks to aluminium’s incredible strength, which allows the profile of the door to be constructed to a slim and stylish specification. The number of colours we have for our entrance doors is very extensive. Because of this reason you can easily co-ordinate their appearance to suit the surroundings. The colours and finishes that are available will vary according to the material, however. 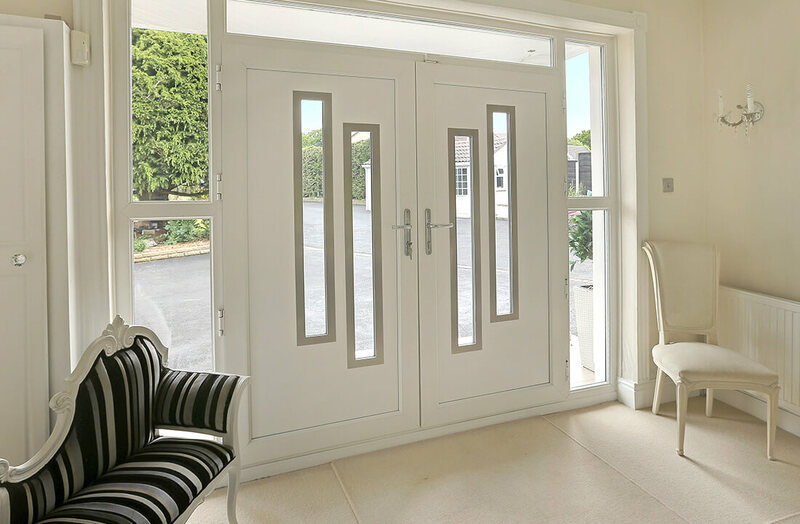 Aluminium doors from Budget Windows are available in over 200 RAL colours, however both our uPVC and timber front and back doors can also be finished in a huge number of shades. The shades that are available range from the beautifully bright to the exquisitely subtle. 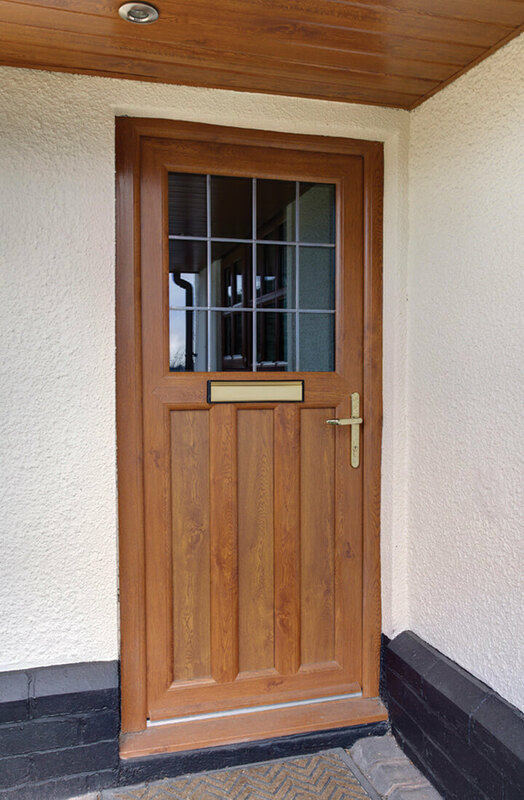 Although our timber doors feature a natural woodgrain finish, we’re able to apply a woodgrain effect finish to both our aluminium and uPVC entrance doors. So, you needn’t be put off if you prefer the practical qualities of aluminium or uPVC but the appearance of timber. You can alter the furniture of our front and back doors in order to attain your ideal look. Our range contains both contemporary and modern styles of furniture, however feel free to combine the two if that’s what you prefer. Customisable furniture includes the handle, although we also provide a variety of door knobs, letterplates and door knockers. Spyholes are also optional and are great for determining who is knocking on your door. Each of our furniture options can be finished in colours such as brass, pewter and chrome along with some others. With such a wide selection of customisable furniture at your disposal, you can easily adapt the look of the door so it is completely to your liking.